What is Haida Gwaii?? And where are the Queen Charlotte Islands? And, by the way, just who was Queen Charlotte? 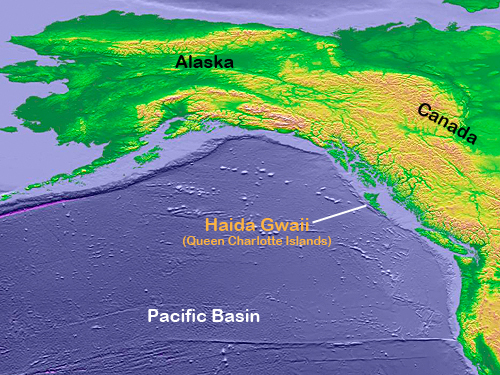 Haida Gwaii is an island archapeligo lying off the coast of British Columbia, and the home of the Haida people. The Haida are perhaps best known for their distinctive totem poles. The islands were given their 'other' name by Captain George Dixon, a surveyor, who named the islands after his ship and the wife of King George III of England. Separated from the Canadian mainland by Hecate Strait, the islands are accesible by either ferry or aircraft. Much of the island forms Gwaii Haanas National Park, which is administered jointly by the Haida and the Canadian government. Dominated by the two large islands-Moresby and Graham-Haida Gwaii is a visually spectacular journey flush with emerald green forests, ancient Haida village sites, plentiful salmon, and fabulous diving and sea kayaking. 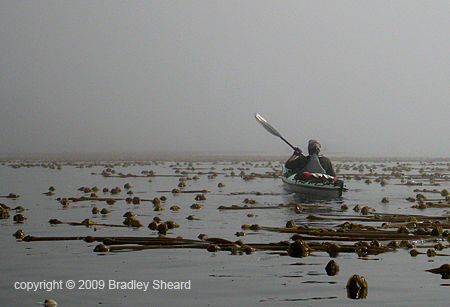 One of the best ways to experience her treasures is on a mothership-based sea kayaking expedition aboard the Anvil Cove.